The EVIL Device Everyone Hates…. THE SCALE!! – Kiss the Bulge Goodbye!! May 2, 2015 Kiss the Bulge Goodbye1 Comment on The EVIL Device Everyone Hates…. THE SCALE!! The EVIL Device Everyone Hates…. THE SCALE!! I have a never-ending battle with the scale. You can ask my coach, Jenna, how often I message her stressing about the numbers that stupid scale are showing me! Still to this day I do! 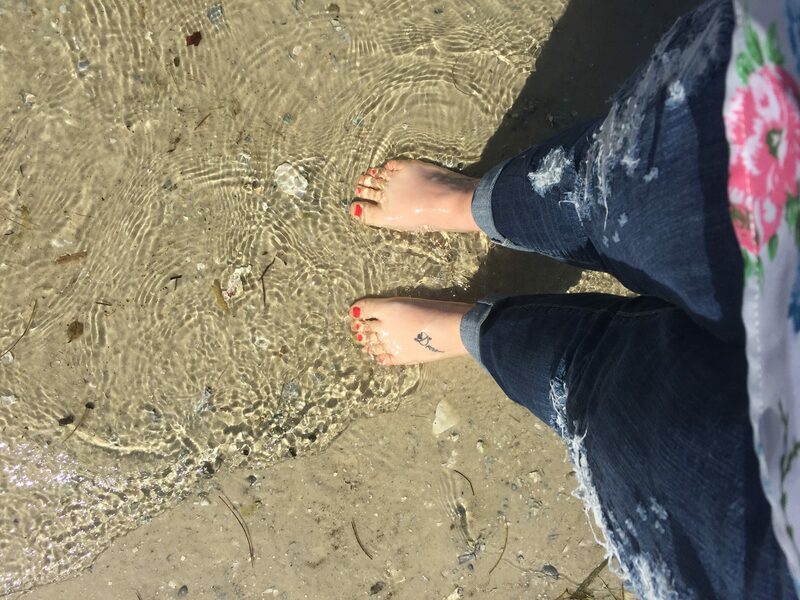 The first thing that comes out of her mouth every time, without fail… “But how do you feel?” At first that was a hard question for me to answer.. I was frustrated that the numbers weren’t moving. Then when I would really get down to thinking about how I was feeling before seeing the scale, it clicked. There is so much more progress to be had than just what that evil little device is telling me. My energy? SO much higher than before I started! My clothes? Fitting so much better than when I started, and some are just too big now! My confidence? Psh where do I even begin to explain that change? When I start to get frustrated with the evil scale, I hear Jenna in my ear asking about all the other aspects of why I started this journey! This past week the scale went down, then back up and stayed back up for a few days, and just today did I break through. Guess what though……. I put on my jeans for work this morning and look at the extra room I had! Freshly washed AND dried!! 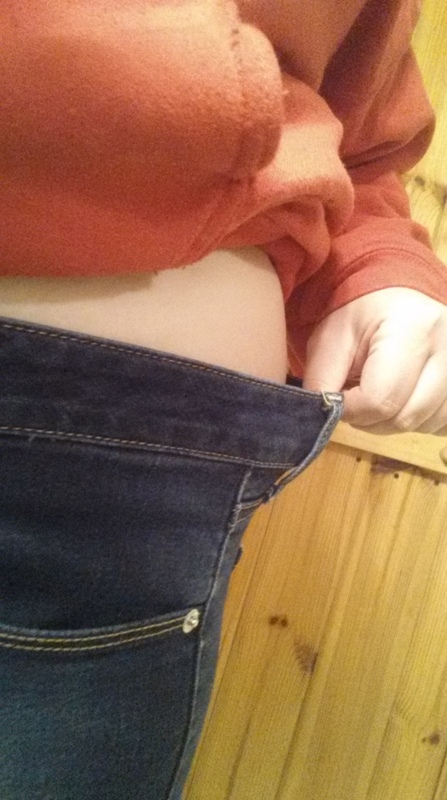 In January I couldn’t have worn these jeans at all! How does that feel?! FAN-FREAKING-TASTIC!!!!!! 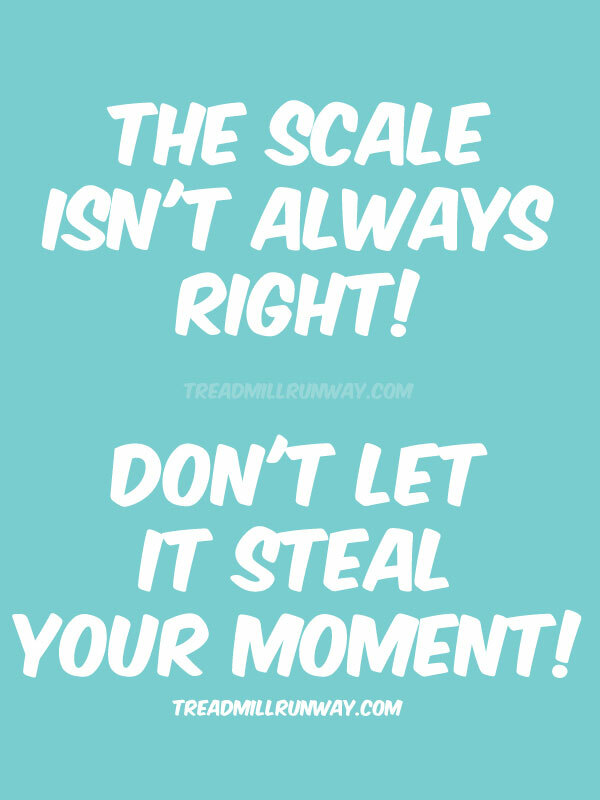 The scale can not tell you everything about your progress! You can lose inches without losing pounds from gaining muscle! This has been the hardest thing for me to manage to get a grasp on, and I guarantee I will struggle with it again at some point, but I have learned to look for other signs of progress than just one measly number! I’m thinking that this weekend I may try on a pair of jeans that I had saved from high school! I’m not thinking they will be flattering quite yet, but even just progress of getting them on will make me feel great! Stay tuned for the results! lol Even if it doesn’t go well, I will still share! Cheering you on!! Yay Ashley! !